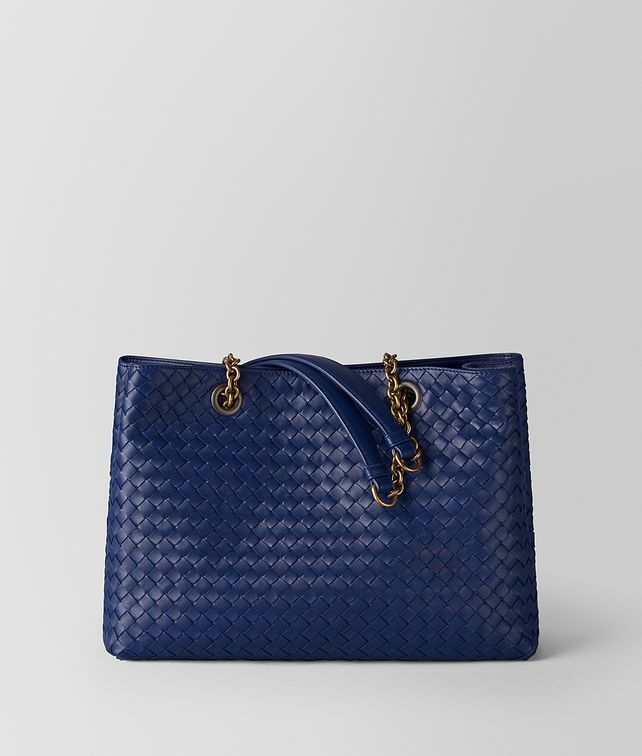 Crafted from signature intrecciato nappa, this tote is a polished everyday accessory. The suede-lined interior features a zipped partition, zip pocket and two flat pockets. Finished with an elegant dark-gold tone chain strap with leather padding.